Here's a shoe made of real Kangaroo leather which is said to be more comfortable and more flexible than other leathers. You might say it's like bowling in pillow shoes! 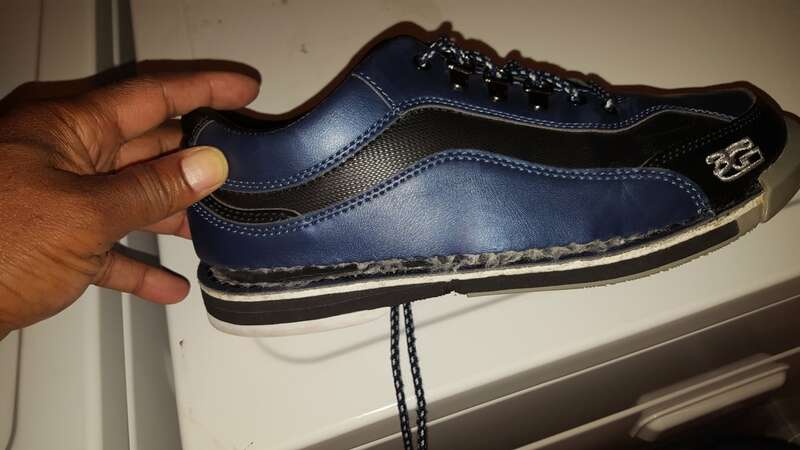 3g ultra tour are the best bowling shoes on the market ive had dexter sst 8 in the past and they are not comfortable at all the only thing thats good about the dexters are the interchangeable soles and heels because of bowling i need comfort 3g never let me down and they allow your feet the breathe. So far, so good with the shoes. Hopefully, they will last. Wouldn't buy this shoe again. Old 3GS were more durable. I bought these shoes as a replacement from my old 3G classic shoes that they don't make anymore. I wore those shoes for 6 years and never had any issues with them. Soles were good and durable,besides buying more slide pads and heels they were great. 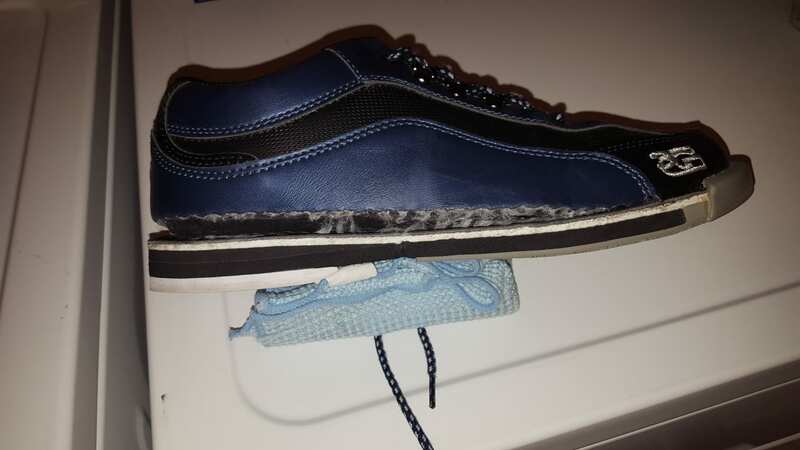 For the new shoe I baught the stitching on the shoes came out and the inserts are already needing to be replaced after my first day using them. First day...3 games... Would not recommend this shoe for the price. They run about a half size bigger than their older ones. A little big, but will make due. Didn't come with felt soles which they used to send. By RickD from Saint Joseph Mich. Uncomfortable, Wide sizes may be better. Have had cheaper shoes that were more comfortable. Would love to try this product but they came with no heels, only extra side soles. Was switching from Dexter but now second guessing that decision. Will update review if they make it right. Hello, unfortunately these shoes only come in a standard D width. my true foot size is a 8 1/2 EEEE. I bought a 9 1/2 tour ultra kangaroo materal. after a couple of the months, the kangaroo matreal streach that I now have free play in the shoe. 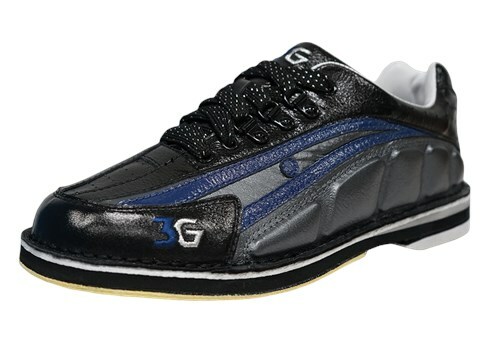 does 3g make wide width bowling shoes? Unfortunately we do not carry any wide width 3G bowling shoes. Is it US size? Or UA size? Or UK size? Good Question! This sizes for all of the shoes on our website will be US. HOW MUCH ARE A SET OF EXTRA HEELS AND SOLES FOR THE 3G BLACK AND BLUE TOUR BOWLING SHOES? The soles are going to be $19.99 and the heels are $18.99. Hope this helps! Hello! These shoes actually have the option for both. 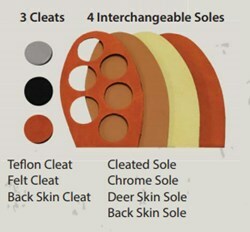 They have the regular interchangeable soles as well as the cleated sole so you can use the round inserts. At this this time, the right handed version is only available. The interchangeable pads are velcroed to the sole of the shoe and you may take the pads off and switch the pads to adjust how much you slide. 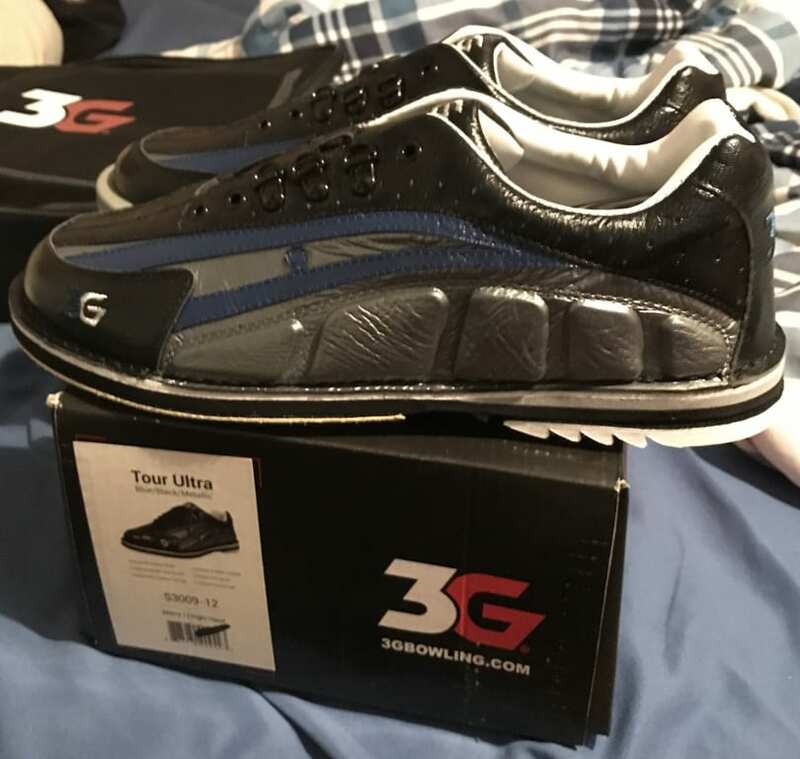 For 3G shoes, the lower the number on the pad, the more it lets you slide. The higher the number on the pad, the less it lets you slide. Due to the time it takes to produce the 3G Mens Tour Ultra Blue/Black/Metallic Right Hand ball it will ship in immediately. We cannot ship this ball outside the United States.